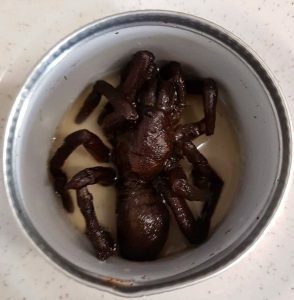 This term the A Level Psychology students have ‘enjoyed’ studying other students’ reactions to toasted tarantulas and candied critters as part of their ‘eating behaviour’ topic. 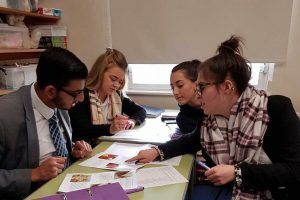 Fellow 6th form students were asked to complete questionnaires to discover how ‘sensation-seeking’ they think they are, and the likelihood of them eating the bugs, shredded jellyfish and pea crisps on offer. Another day in the Highclare world of Psychology!